"Gulaabo", the much-anticipated first song from "Shaandaar" featuring Shahid Kapoor and Alia Bhatt, has received over 2.6 million views in less than 24 hours since releasing on YouTube. The “Gulaabo” song’s video, featuring the film’s lead actors Shahid Kapoor and Alia Bhatt, went online on the official Zee Music Company YouTube page on Thursday (September 10). 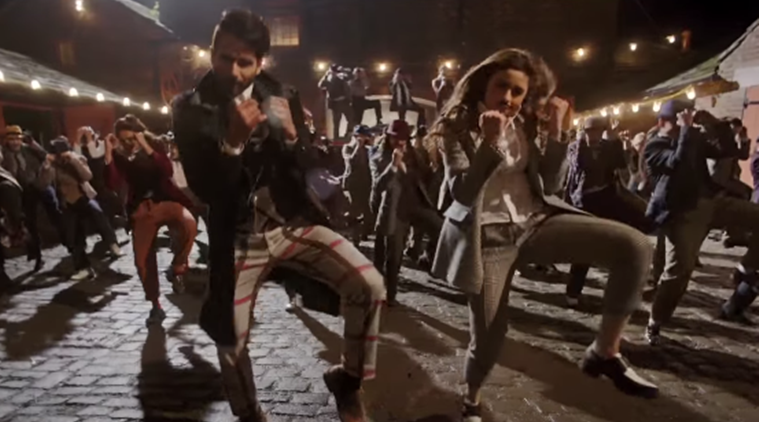 “Gulaabo”, the much-anticipated first song from “Shaandaar” featuring Shahid Kapoor and Alia Bhatt, has received over 2.6 million views in less than 24 hours since releasing on YouTube. The song’s video, featuring the film’s lead actors Shahid Kapoor and Alia Bhatt, went online on the official Zee Music Company YouTube page on Thursday — the same day when the duo launched it with the film’s director Vikas Bahl at an event here. “Shaandaar” promises to be an out-and-out youthful love story focussing on two characters Alia (played by Alia Bhatt) and Jagjinder Joginder (played by Shahid). Alia’s father Bipin (played by Pankaj Kapur) adds the twist to their romance as he believes there’s no man who will be good enough for his daughter. While Alia is a dreamer, Jagjinder Joginder feels he can make anything happen. Presented by Fox Star Studios, “Shaandaar”, releasing on October 22, is produced by Dharma Productions and Phantoms Films.